Fabricated from triple chrome plated rust-resistant Zamac. Roller holds and dispenses all standard core roll tissue up to 5″ diameter (Ø127). Roller is plastic with internal spring for tension and is removable from brackets for easy loading. 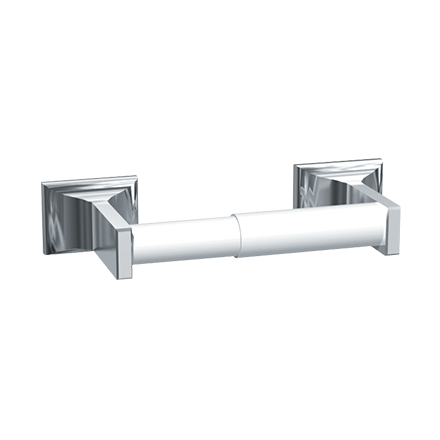 Roll holder posts are theft resistant when tempered hardened stainless steel set screws are installed and tightened into brackets. Two (2) wall anchors provided. Unit meets appropriate FHA and other federal specifications.